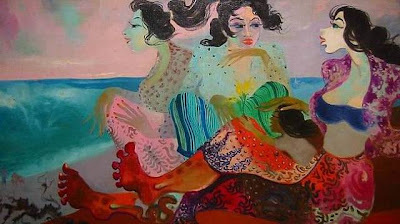 Born in Bandung, Hendra Gunawan studied under the artist Wahdi before he turned to modern art. 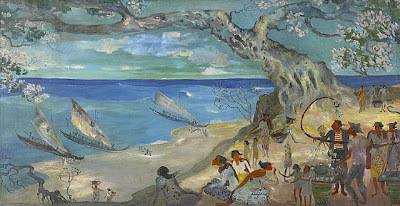 He taught at the Academy of Fine Arts in Yogyakarta from 1950 to 1957. He was imprisoned for 13 years because of his political beliefs. 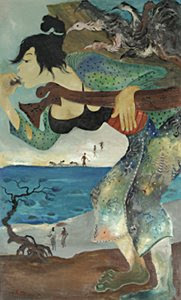 A year after his release he held a solo exhibition at the Art Center in Denpasar, Bali. 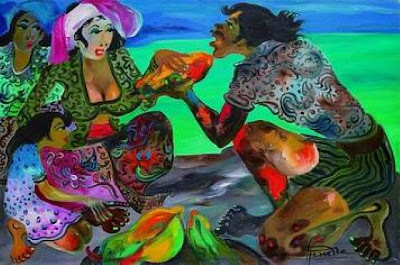 gallery of Indonesian Art, paintings by Indonesian artist or expatriach who live and work in Indonesia.